Every plumber knows that the key to doing a great job is having the right plumbing tools. Plumbing repairs vary from one place to another and at each job, the tools that will be required will differ. There are different tools for bending and forming, wrenches of various types for holding, tightening and loosening, pipe and tube cutting tools, as well as debugging tools such as pipe inspection cameras among others. Innovation is never static and with time, manufacturers are always looking for ways to improve the efficiency of various plumbing tools. Therefore, there is a need for plumbing technicians to stay abreast with the latest innovations and trends if your plumbing business will stay relevant. Here are some of the latest plumbing tools for plumbers in 2018. The compound Tubing Bender is a versatile plumbing tool for bending different types of tubing made from copper, aluminum brass and so on. It can also be used for bending thin-wall tubing and soft wire rods up to an angle of 180° in just a single action. It can be used for bending tubes in four different outer diameters 3/16 in., 1/4 in., 5/16 in. and 3/8 in. The bending angle dial has variable configurations calibrated in 15° increments numbering 12 in total. It is a durable tool made with die-cast alloy to keep it rust free. It also has an extra-long handle which provides extra leverage. The industrial flaring tool is the ideal plumbing equipment for flaring aluminum, copper as well as thin-wall tubing for ensuring a perfect a leak free connection in your pipe repairs and installations. This flaring tool forms 45° flares in seven different NPT pipe sizes: 3/16 in., 1/4 in., 5/16 in., 3/8 in., 7/16 in., 1/2 in. and 5/8 in. It comes with a steel crew yoke which makes it easier to work on hardened and plated bars without having to remove heavy-duty wingnuts. The yoke also has a freewheeling plated cone which ensures faster, stronger and smoother flaring. The feed thread is large and hardened for increased durability while the extra-long bars open easily for quick insertion and removal of tubing. There is also a plier variety designed for close quarter use which holds the pipe securely during the flaring process and for quick release once the job is done. Benders are used for bending a piece of copper or other materials of tubing of a specific diameter without the risk of collapse or crimping. Rather than go for individual tubing benders, you can simply go for a set of benders instead which contains six pieces of Tubing benders all of the different diameter. There is 1/4 In., 1/4 in., 5/16 in., 3/8 in., 7/16 in., 1/2 in., 5/8 in. tubing benders in a set which makes your bending work a lot easier. It’s an all in one kit that answers all your pipe bending tasks so you won’t have to stop working for lack of a specific tubing size. Telescoping Basin Wrench for Nuts is the ideal for reaching and securing hard-to-reach nuts at the back of sinks or washbasins. This wrench comes with spring-loaded, pivoting jaws which enables one-handed ratcheting much needed in working difficult positions. It also has long telescoping T-handle which provides extra leverage for the technician and is plated to prevent rust. There are various sizes of the Telescoping Basin wrench available, the smaller for handling 3/8 to 1-1/4 in. and the larger one is used for 1 to 2 in. nuts. Some varieties of the telescoping wrench have a 180-degree pivoting T-handle which provides access in tight spaces. Some also come with a Built-in LED light which provides light for the technicians and comes in handy when working in difficult and dark areas where lighting is limited. This set of internal Pipe wrench is used for installing and for removing broken pipe threads, plugs and fittings without marring, scratching or denting pipe surface. It is also a perfect tool for removing rusty fittings and broken pipe ends lodged inside pipes. The set contains 3 or 4 different wrenches of different diameters 3/8 in., 1/2 in. and 3/4 in and an extra 1 in diameter for the set of 4. The internal pipe wrench can be used with a standard socket and ratchet or an open-box end wrench. The pipe wrench is the number one traditional tool of every plumber. A plumber’s toolkit is never complete without a pipe wrench and it is still a relevant tool even in 2018. The adjustable wrench is used for tightening and loosening soft iron pipes and fittings of various sizes. The iron pipe wrench comes in various sizes and lengths. The 14in. Length wrench is suitable for fixing 2in. pipes, the 10in. length pipe is suitable for fixing pipes of 1-1/2 in. outer diameter. The double-ended Tub Drain Wrench is one of the ideal plumbing tools for installation and removal of tub drains with crossbars or without using crossbars using a large screwdriver or a wrench of the right size. A major advantage of this wrench is that it fits most drains and is perfect for 1-1/4 in. and 1-3/8 in. drains. 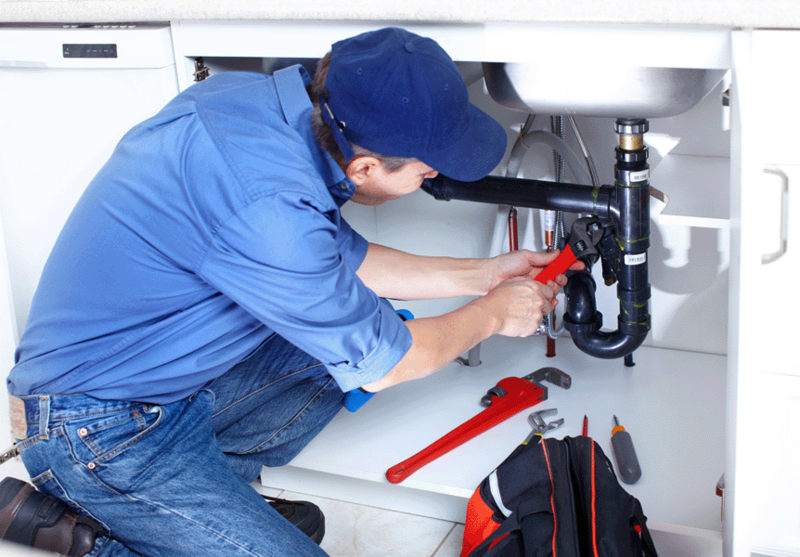 It is hardly possible to carry out plumbing repair works without having to cut out tubing and pipes. The Professional-grade Plastic Pipe and Hose Cutter are versatile plumbing tools for handling pipes and tubing made from various materials such as PVC, PEX, CPVC, ABS, and polyethylene. It has replaceable carbon steel blades that guarantee clean and perfect cut every time and a one-handed operation with six click ratchet that holds the blade in place. When working in tight places, using the normal professional grade tubing cutter might be a bit harder, the close quarter tubing cutter is designed for this purpose. Asides working in restricted spaces, this tubing cutter allows you to work on copper, aluminum, plastic and brass tubing of small diameter between 1/4-inch to 1-1/8-inches. In addition, for clean cuts and to easily control cutting pressure, this cutter has an as strong but lightweight slide-and-wheel housing and a large knurled feed screw knob. It’s a portable but important tool every plumber should have. One of the most essential aspects of piping is inspection and diagnosing a pipeline to ascertain the exact cause of blockage in the piping system. 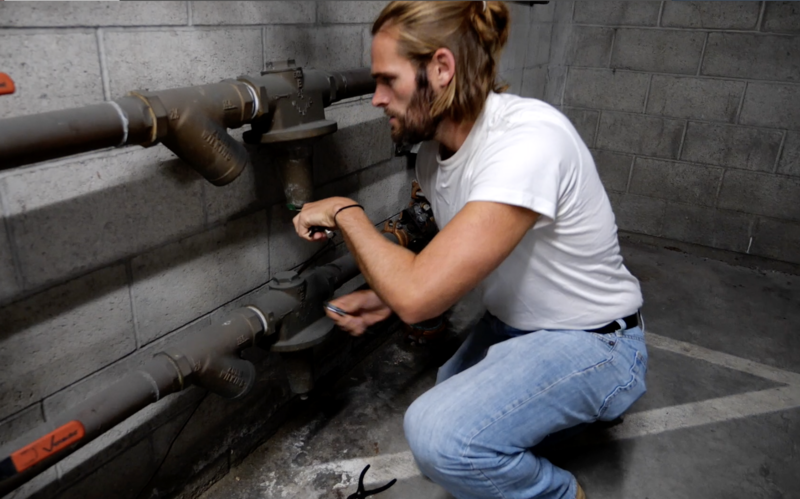 The pipe and duct video inspection system makes it possible to easily probe a piping system and accurately determine where the fault is in the system. It is a combination of a recording console and a 100 ft. Pipe & duct inspection probe with reel, suitable for probing a centering ring with an inner diameter of 1.1 in and an outer diameter of 2 in. both the probe and the camera are watertight and resistant to corrosion. This is one the best plumbing tools for dissecting problems before starting your plumbing services. For inspection of pipes of smaller diameter where the traditional borescopes cannot work there is a need for a reel with capabilities of accessing piping systems with a smaller diameter. This snake Nano Reel makes it possible to probe a wide array of special piping systems such as Boiler tubes, supply lines, sprinkler systems, among others where the normal video inspection borescopes will not work without having to compromise distance. The small diameter camera allows you to probe the line and inspect up to 85 in. of pipe length in tight turns in 1in. diameter lines passing up to 90-degree bends from in many piping systems. It is a sophisticated tool and compact tool that makes a plumber more versatile in otherwise inaccessible systems. Remove clogs in drains automatically using power spin drain cleaner. This versatile tool has a hand auger which allows you to manually spine the cable in and out of the drain to clear up clogs in the pipe. There is also the option of using an automatic variable speed drill which can pick up to speed as much as 500 RPM. For ease and effectiveness, the cable self-feeds itself directly into the drain so your hands don’t have to touch it at all. The maxcore cable is 1/4-inch x 25-foot in diameter and can be used for drain lines with 1/2-inch to 1-1/2-inch diameter and can reach up to a length of 25 feet applicable for clearing clogs in bathroom and kitchen sinks, bathtubs, and shower drains. This tool is a simple cleaning tool which should be a part of every plumber’s toolkit. It is used for Thoroughly cleaning the interior and exterior of pipe surfaces and also for prepping most popular tubing of 1/2in. and 3/4in. for soldering. Its brushes are made with Hardened steel which guarantees comprehensive cleaning and is resistant to wear and corrosion ensuring durability. This pipe expander is another small but essential tool in a plumber’s toolbox. It is used for expanding copper pipes with a diameter of ¼ in, 5/16in., 3/8in., 1/2in, 5/8in, 3/4in., and 7/8in. while preserving the shape and preventing breakage or splitting of the copper pipe. The list above is by no means exhaustive and there are several other plumbing tools that are very important for a technicians work to proceed effectively that are not included here. There are also several types and varieties of these listed tools based on manufacturer specifications and design. Besides all of the physical plumbing tools on this list, we can’t wrap up this list without mentioning our incredible all-in-one plumbing software. Our software helps you manage inventory, GPS track your techs and vehicles, invoice clients, handle payroll, and more. To see our software in action, feel free to schedule your free demo by clicking the button below.